When I called to talk to the Rev. 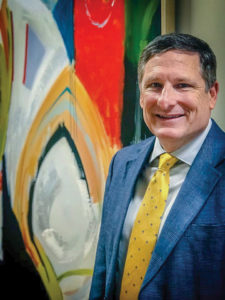 J. Wayne Clark – president and CEO of the United Methodist Foundation of Arkansas – it was barely a week into his new position. Knowing he hadn’t had much time to get used to the new job yet, I asked him how he was settling in any way. That’s how Clark seems to process change. Even if the world around him is moving fast and he’s venturing off into uncharted territory, he’s still as calm and charismatic as he always is. It’s perhaps one of the many reasons he was selected to lead the Foundation after the unfortunate and unexpected passing of longtime President James B. Argue. Argue, who took over leadership at UMFA in 1981, grew the Foundation’s assets from an initial investment of $67,000 to a value of more than $164 million at the time of his death in 2018. He was a legendary name in the Arkansas United Methodist Church and a man who touched the lives of countless people across the state. The Foundation named Clark to the position in November, following an extensive search process that was administered by a committee made up of UMFA board members. UMFA Board of Director’s Chair Judge Beth Deere convened the committee. Other members of the committee included Phil Hathcock, Mable Donaldson, Ginny Kurrus, Dewitt Smith, and Bert Kell. But Clark’s journey to the Foundation wasn’t always his objective; although he had admired and respected the work of the Foundation – and served on the board of directors for many years – taking over as the CEO wasn’t initially on his mind. Born in 1962 in Dallas, Texas, Clark moved to Malvern, Arkansas with his family when he was five years old. After graduating from Malvern High School, Clark went on to attend Hendrix College in the early ‘80s (class of 1984). It was there on the campus of Conway’s beautiful liberal arts college that Clark decided to answer his call to ministry. That call to ministry led Clark from Hendrix back to his roots in Texas, where he enrolled in seminary at Perkins School of Theology. Clark spent his seminary internship at Children’s Medical Center as a hospital chaplain for about a year and then spent 1987 to 1988 across the pond leading Methodist churches in the United Kingdom. “Methodism started in England. I got to preach in the same churches, and from the same pulpits, that John Wesley preached from, and that’s something I’ll never forget,” Clark said. A group of Hendrix College students and Rev. 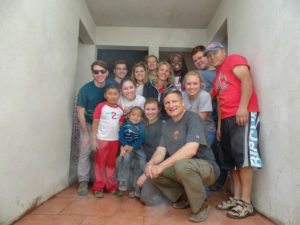 Wayne Clark pose with church members after laying tile at a United Methodist church in Guatemala. When Clark finally returned to the U.S., his first appointment was at Magnolia First UMC in 1989. Clark then served at Hawley Memorial UMC in Pine Bluff from 1992 to 1996 before returning to his alma mater in ‘96 to serve as the chaplain of Hendrix College. “Like so many people that go to college and discern their calling, that was an important time in my life. And the opportunity came up for me to return to my college and get to serve a place that really impacted me. During his time as a chaplain, Clark was able to minister to students at Hendrix, but in many ways, the students also changed his life. Before serving at Hendrix, Clark confessed that mission trips weren’t a huge part of his spiritual journey. But over time, as he was able to organize and attend mission trips around the world with students, serving others in foreign countries become his passion. By the time he finished his service at Hendrix, Clark had participated in more than 25 mission trips, from places as close as Chicago to as far away as Siberia. “I learned so much on those trips. Most of the time, I felt like I was the one being ministered to instead of the people that we were serving,” Clark said. Rev. 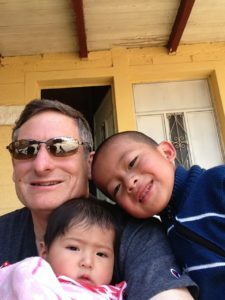 Wayne Clark snaps a selfie with two children in Guatemala during a mission trip that he took while serving as the Hendrix College chaplain. Clark said that through the mission trips, he learned that everyone has dignity and worth, no matter where they are from. Through serving in homeless shelters and soup kitchens in the U.S., he realized the homeless are treated as “less than” and are dehumanized on a regular basis. One of Clark’s most memorable mission trips was a trip he took to Vietnam. On this trip, Clark and students built houses for people along the Mekong River, south of Ho Chi Minh City. Because a language barrier existed between the 10 Hendrix students on the trip and the Vietnamese residents, a group of six Vietnamese college students met up with the group to act as translators. Every day, the group would travel on a boat to get to the building site, and during these boat trips, the students exchanged different pieces of pop culture from their countries. Although Clark’s many years spent serving the students of Hendrix as the chaplain made him well-rounded as a leader, it wasn’t the expertise that would have immediately identified him as a qualified candidate for the UMFA president’s position. However, four years before landing the new job, Clark was asked by William M. Tsutsui – 11th president of Hendrix College – to leave his position as chaplain and take up a new role as the associate vice president for development. In this new position, Clark was responsible for fundraising, including managing the Hendrix Annual Fund, planned giving and major gifts, as well as providing leadership for Advancement Studies at Hendrix. Rev. 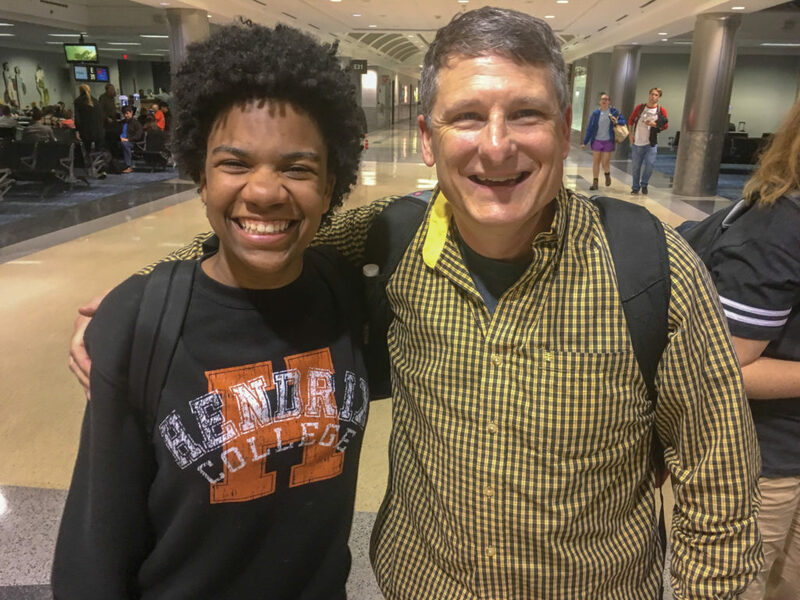 Wayne Clark and a Hendrix College student take a photo together after returning from a mission trip. The new position wasn’t an easy one to take on at first, according to Clark. Much of the difficulty came from the disengagement from his daily visits with students and the new responsibilities associated with the job. “I was having to focus on raising money and thinking strategically about how to get that money, so there was a learning curve for me. But I grew into that role and came to realize that position was truly a ministry as well. That trust is something that Clark recognizes is a reason former President Jim Argue was so effective at his job. Serving on the board of the Foundation, Clark was able to see Argue’s kindness and leadership first hand. He admired the Foundation’s ability to manage money and the way they were able to disperse that money to churches and individuals who needed it to pursue the mission of making disciples of Jesus Christ. After Jim Argue passed away, Clark’s feeling of wanting to help the Foundation part-time grew into a desire to put everything he had into a full-time leadership position. After a lot of prayers, time to think, and discussions with his wife, Rynnett, Clark decided to throw his name into the hat of candidates. “Going through the application and interview process, it made me realize that everything I’ve done is wrapped up into this Foundation. They work with the local church; I’ve been in the local church. They’re Conference-wide. They are trying to help people think about endowed gifts. And they’re giving money out to support churches. “But I told them up front that if you’re looking for someone with legal or financial expertise, like a lawyer or CPA, then maybe I’m not your person,” Clark said. Clark’s humility on financial know-how downplays the significant fundraising endeavors he was able to accomplish while at Hendrix. During his tenure at Hendrix, Clark directed the planning grant that led to a $2 million grant from the Lilly Foundation to “develop programs to assist students in the theological exploration of vocation,” according to a Hendrix College press release from 2015. He helped gather an additional $1.5 million grant to extend that original grant by three years. Clark also helped write a $500,000, five-year grant from the Lilly Foundation to set up a program for Clergy and Civic Engagement, as well as a $1 million gift to establish the Miller Center for Vocation Ethics and Calling at Hendrix. These are no small tasks that Clark accomplished, and the members of the selection committee knew that his achievements at Hendrix uniquely qualified him for the position. Ginny Kurrus, another member of the committee, said that Clark’s experience as a clergy member in Arkansas and chaplain at Hendrix, combined with his experience in development, made him an outstanding candidate for the position at UMFA. 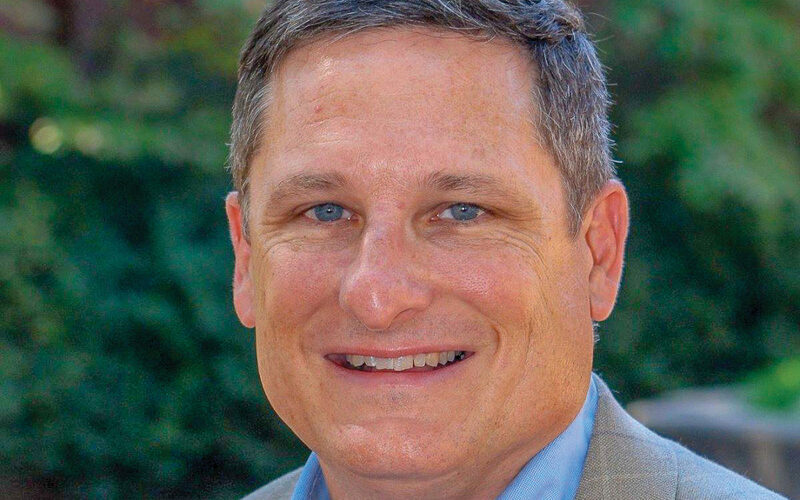 “His service on the UMFA Board has familiarized him with the history and past success of the Foundation, and his service on the Grants committee has allowed him to see some of the ways the Foundation is impacting the future of the United Methodist Church in Arkansas through efforts like the Seminary Scholarships,” Kurrus said. Clark is hoping that his time at the Foundation will be spent building upon the accomplishments and legacy of the people that came before him. Of the 45 United Methodist foundations across the U.S., the United Methodist Foundation of Arkansas is the sixth largest, a significant accomplishment compared to the relatively small size of the Arkansas Annual Conference. Rev. J. Wayne Clark, President and CEO of the UMFA, photographed in the new UMFA building in West Little Rock. Clark is hoping to get more individuals to invest in their local churches; specifically, helping members know how to return a portion of their estate to their church in ways that will continue to support the church long after they are gone. Clark said that he owes a lot of what he’s bringing to the position to Argue and the way he lived his incredible life. “I’ve admired Jim since I was first ordained in 1986. I remember him speaking about the Foundation at every Annual Conference. And even back then, with all the other reports from ministries being given, I was always excited to hear what was going on at the Foundation. “So, when Jim invited me to be on the board a few years ago, not to be too corny, but it was a ‘dream come true,’” Clark said with a laugh. Clark said that Argue passed on sage advice and wisdom to him over the years, but one of the most important things he emphasized was the power of personal relationships. It’s impossible to live up to the legacy of what Argue accomplished, and Clark knows that. He isn’t trying to become the next Jim Argue because no one could possibly be Jim except Jim. For Clark, the primary goal is building up the Foundation and helping people around the Conference get the help they need to further the work of the Church in Arkansas.